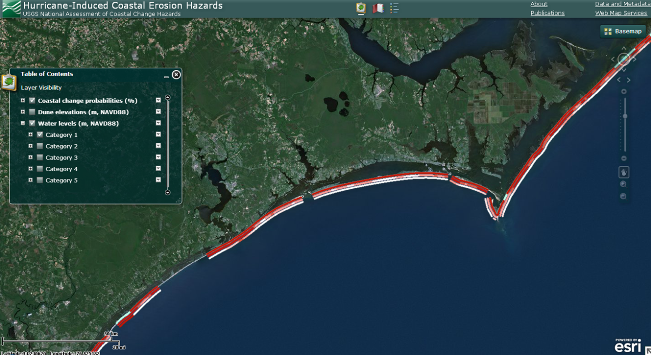 The new online mapping tool, based on a USGS state-of-the-art model, will allow community planners and emergency managers to focus on a specific storm category and see the predicted coastal change in their area. This information may help with decisions ranging from changes to building codes and locations for new construction, to determining the best evacuation routes for future storms. Comment: Nice job by FEMA letting the Emergency Management community know that the venerable USGS has a lot to offer the world of Respond, Recover, Mitigate, and Prepare.